I'm not sure who to blame...my husband, the government or my computer skills. First it was Nordstrom, I quit receiving their newsletters and now, for some reason, I quit receiving posts from my favorite bloggers. What's up with that? Did the hubs think I was spending too much time on the computer and was tired of eating string cheese for dinner? Not a chance, he loves string cheese. And I heard the government has access to our online activity. Pretty sure they would have become bored with all my visits to Etsy and Amazon. So I'm thinking I did it, somehow. I'll just never know how. What does that have to do with spa cookies? Nothing. Absolutely Nothing. The spa cookies have to do with the box. The cute box that started all the fun. 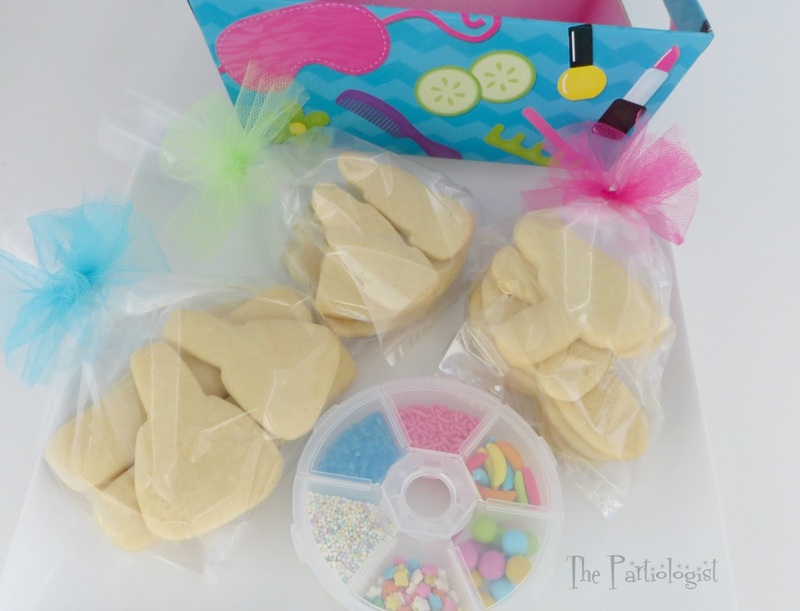 Figuring the girls need a little more to keep them busy at the spa party, I created the one and only...Spa Party Cookie Decorating Kit. Lots of spa cookies ready to be decorated! 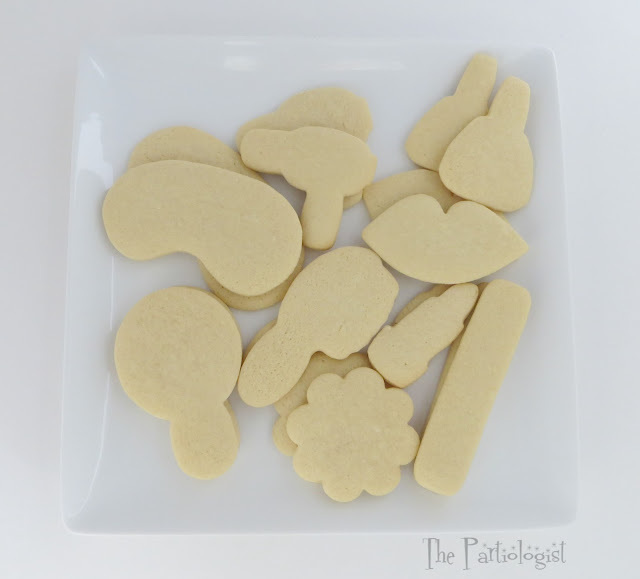 I came up with the idea for the cookie decorating kits last fall and have had great feedback. One father commented "It's Genius"! Soon I should become rich & famous from the idea. THE KIDS LOVE THEM. THE MOM'S LOVE THEM. That's why the kids love them and that's also why the mom's love them. Like I said, it started with the box and the matching party picks. The container to hold all the Spa Party Sprinkles. The cellophane bag to wrap the box. 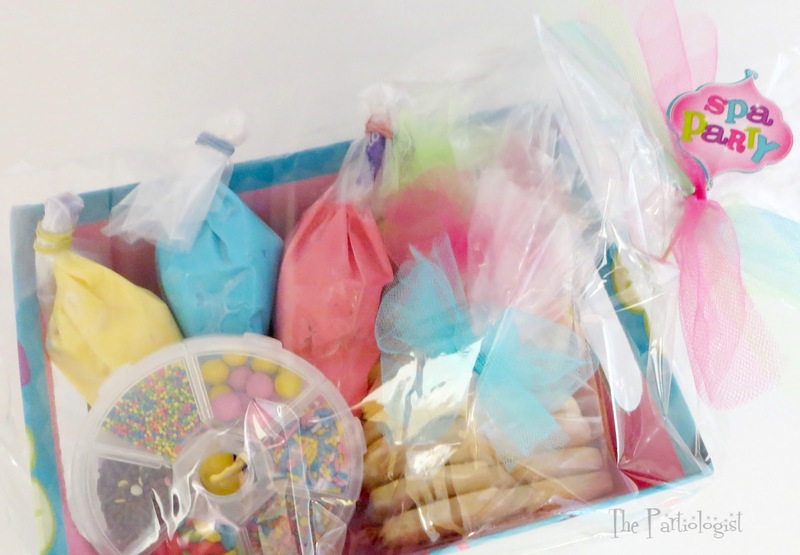 The pretty coordinating tulle to tie the cookies and the seal the box. Once I found my spa themed cookie cutters, I got busy baking. 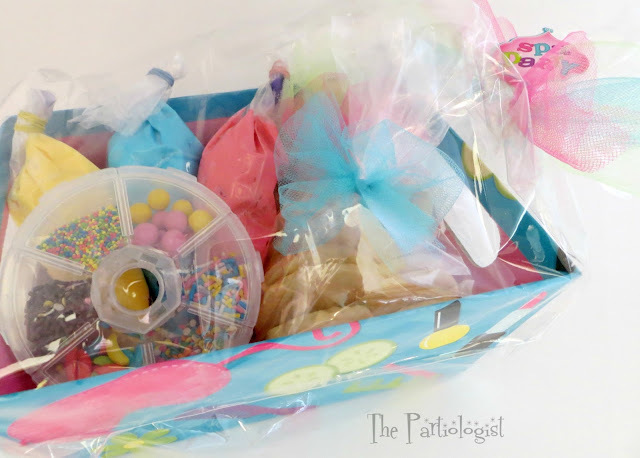 Then packaged the cookies in three bags and filled the round container with fun sprinkles. Fill three Wilton piping bags decorating tips, the basket weave, star and round. Add frosting to the bags, fold down the top and seal with a rubber band. When you're ready to decorate, just snip the ends off the bag! 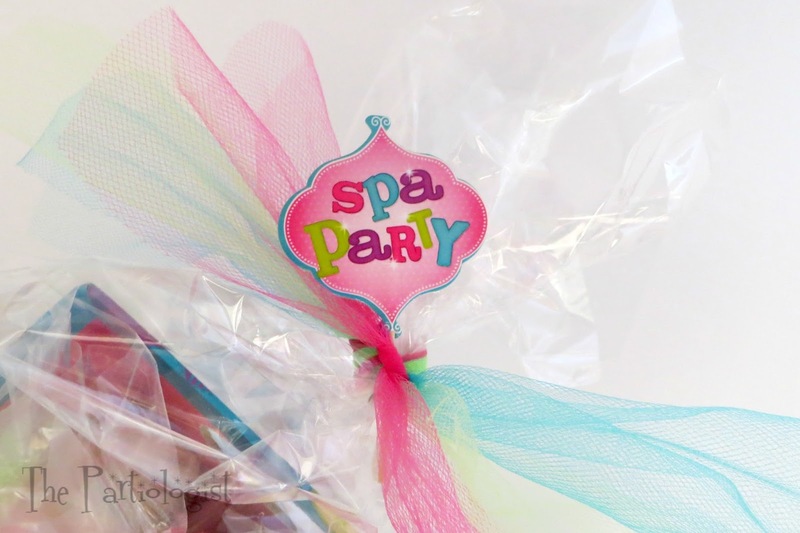 Fill the box with the cookies, package it up with tulle and the spa party topper. Your cookie kits are genius. My friends would love them, I'm sure. Thanks Beth, I think the girls will love them too! i would so love to have your cookie kits! if i send you a giant box of string cheese can i have one?! Super fun and a genius idea! Aww, thank you Cindy for the sweet comment!